Audi Shrewsbury is a family-owned Audi dealership that's part of the McGovern Automotive Group. We are a family-owned store and take pride in delivering the highest quality customer service to our customers; in fact, we train every single one of our employees to treat each customer like family and strive to exceed expectations each and every day. Our Shrewsbury location is a short trip for our friends and neighbors from the Worcester, Marlborough and Westborough areas, and we offer the area's most comprehensive selection of new and used Audi cars and SUVs. If you're looking for an east and enjoyable purchase experience, we are your destination. Our team members make sure to take the time to learn about your particular driving needs, so that they can help you find the right vehicle for you. Audi Shrewsbury carries the full line of Audi vehicles, including the A3, A4, A5, A6, A8, S3, S4, S5 and S8 sedans, as well as the tremendously-popular Q3, Q5 and Q7 sedans. Our knowledgeable sales associates are happy to explain each vehicle's attributes and features, arrange for your test drive and answer any questions you may have. After all, you're looking at a big decision when you're thinking about a new car; we want you to be absolutely confident in your purchase. We also feature high-quality used vehicles from Audi and top domestic and foreign automakers. We take care to ensure that each pre-owned car, truck, minivan and SUV we offer meets our exacting standards of quality. When it's time to finance your purchase, we think you'll be grateful for the assistance of the team at our Finance Center. Our experts use their skills and connections to find you the loan or Audi lease that best suits your lifestyle and your budget, and they make sure that every step in the process in clearly explained to your satisfaction. Thanks to their relationships with a network of financial institutions, they're able to help fulfill customers' dreams of car ownership with ease. Get a head start on the financing process by completing our online financial application, which is transmitted using a secure HTTPS action that encrypts all sensitive data before transmission. Because an Audi is a marvel of automotive engineering and design, it's best to make sure that anyone who services your vehicle is highly-qualified to do so. The technicians in our Service Center are factory-trained to diagnose, service and repair your Audi, and they only use genuine Audi parts while doing so. You can count on them to keep your Audi running like new for years to come. We'd like to thank you for visiting our website. Whether you're looking for a new or pre-owned Audi, it's worth your time to stop by our showroom at 780 Boston Turnpike in Shrewsbury. We look forward to seeing you soon! 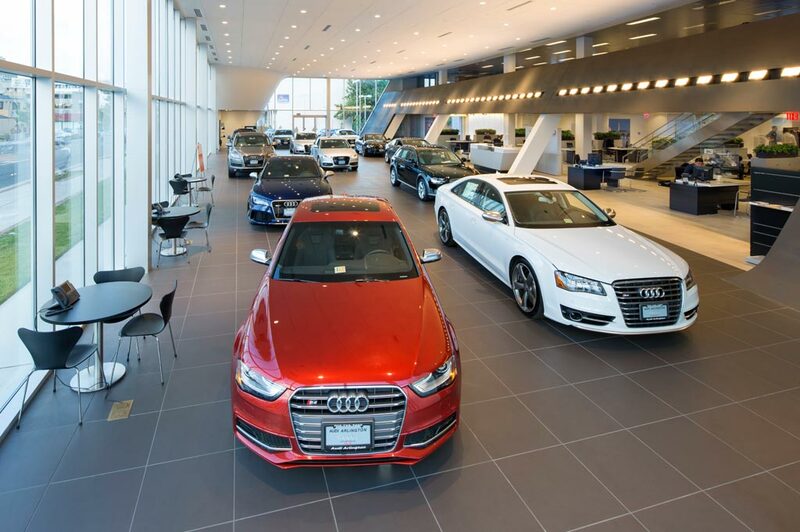 Audi Shrewsbury in Shrewsbury, MA treats the needs of each individual customer with paramount concern. We know that you have high expectations, and as a car dealer we enjoy the challenge of meeting and exceeding those standards each and every time. Allow us to demonstrate our commitment to excellence! Our experienced sales staff is eager to share its knowledge and enthusiasm with you. We encourage you to browse our online inventory, schedule a test drive and investigate financing options. You can also request more information about a vehicle using our online form or by calling 508-917-6027.